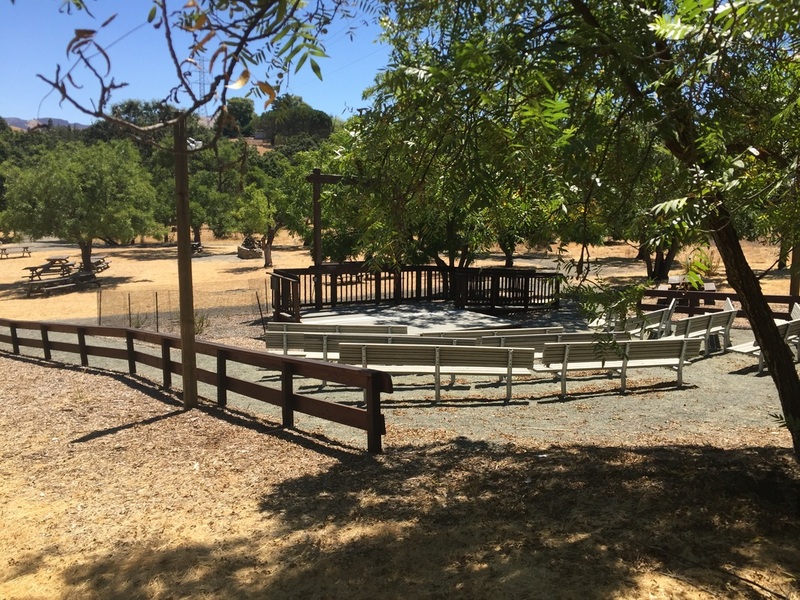 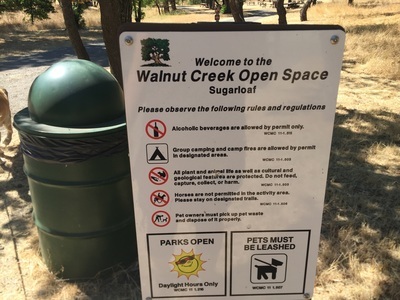 WARNING: As of February 2017, cattle are now present and Walnut Creek Open Space keeps them in pastures managed by electric fences. The Ridge Top Trail has an electric fence running along it. 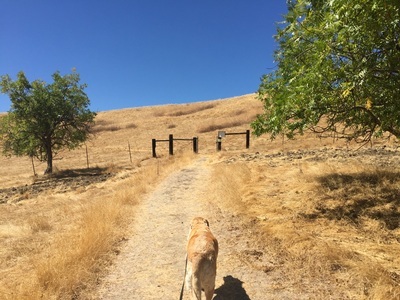 This is a wide trail with very clear warning signs along the fence, but make sure to keep your dog on leash and don't chance the hike if you have a dog that is difficult to control or does not obey. 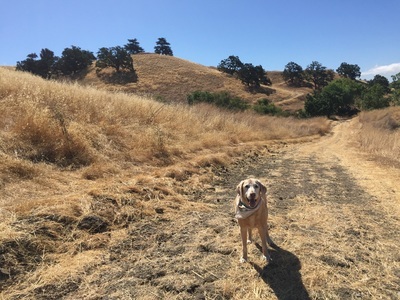 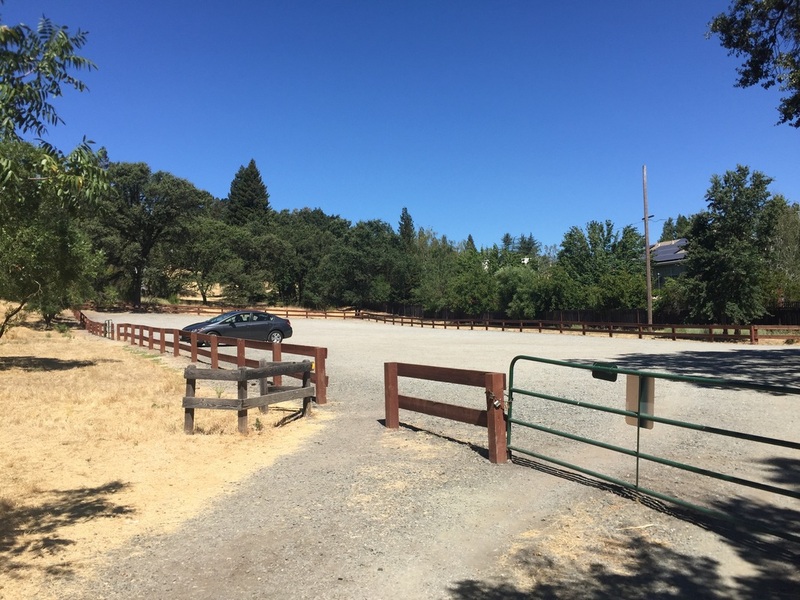 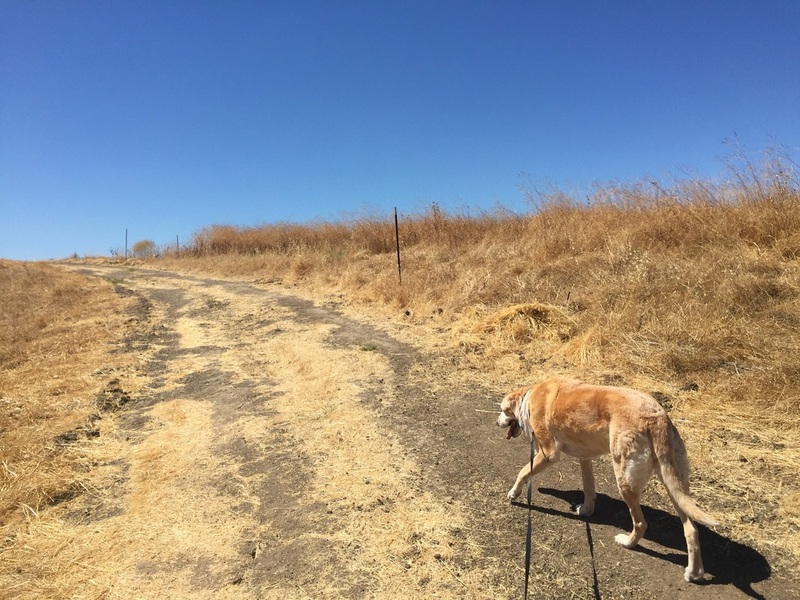 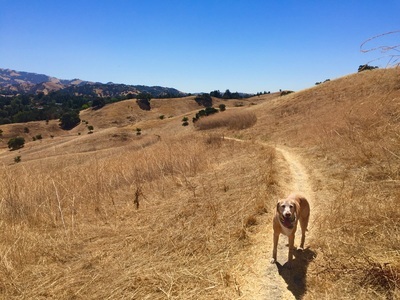 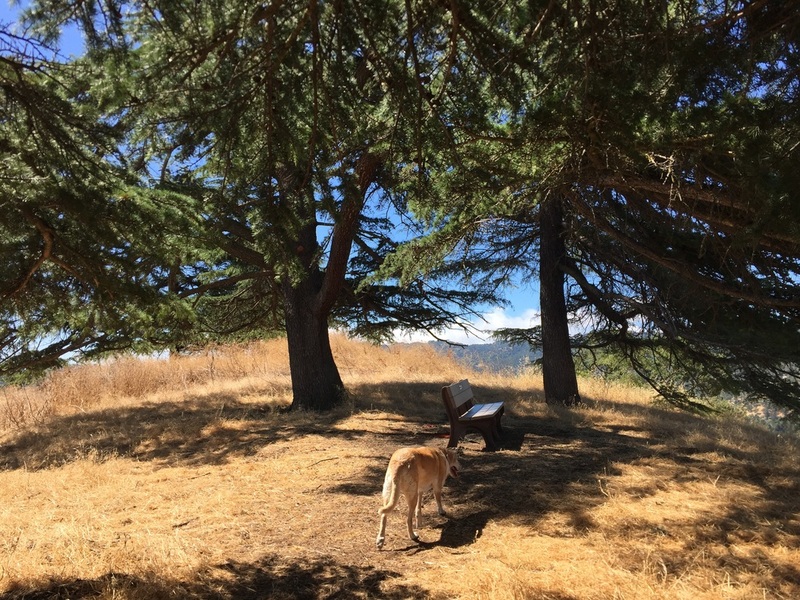 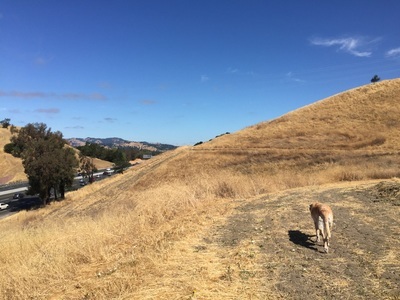 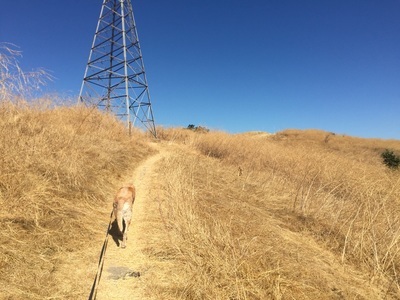 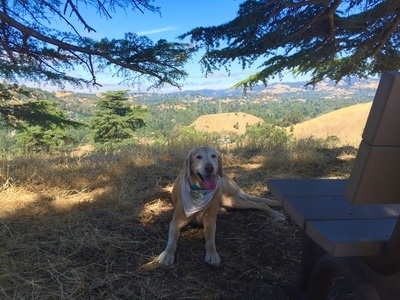 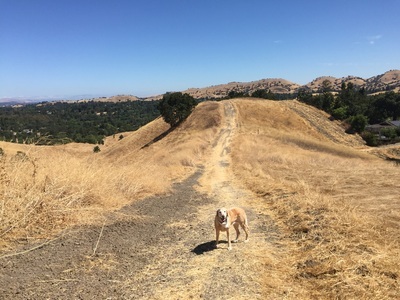 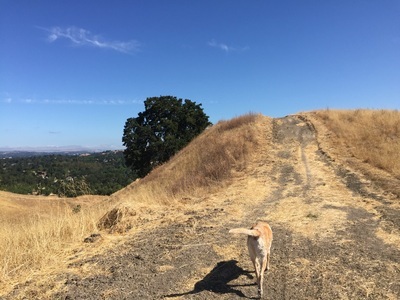 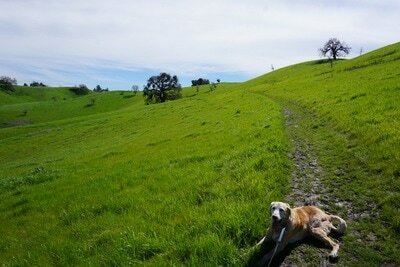 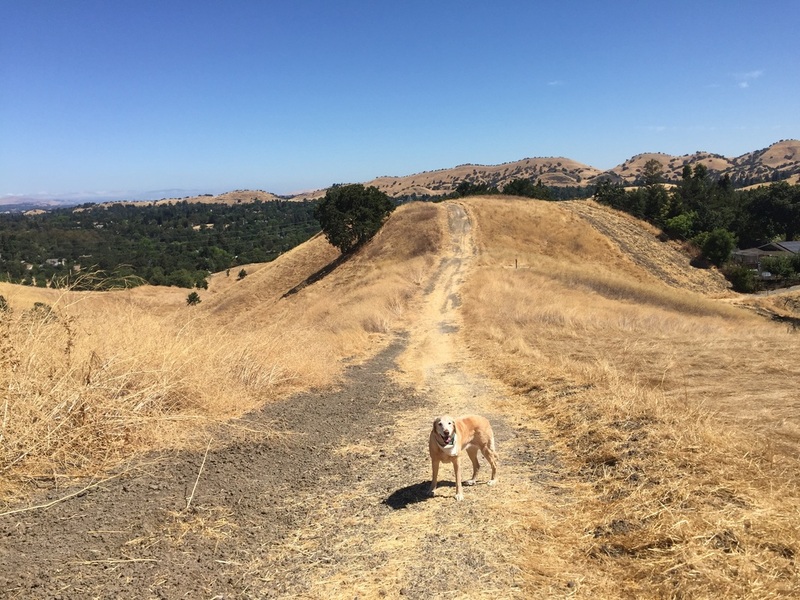 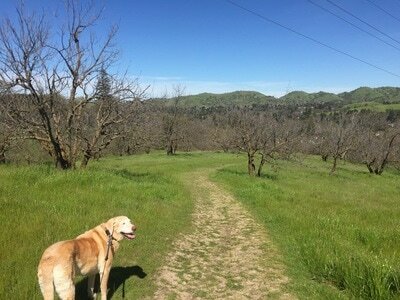 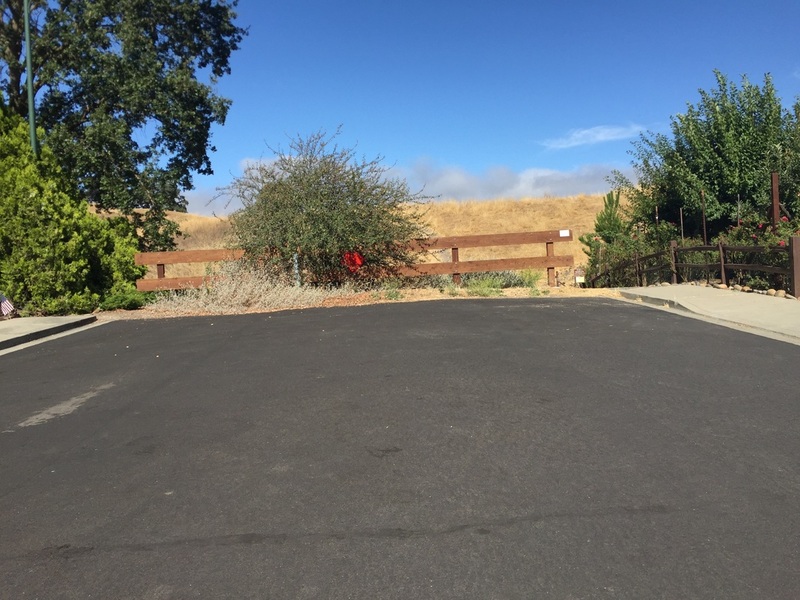 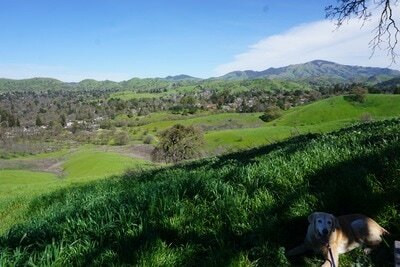 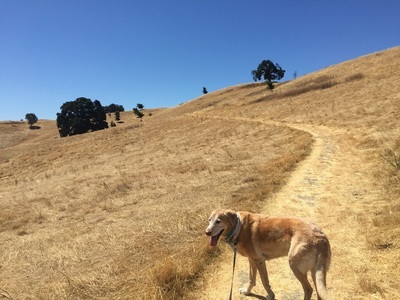 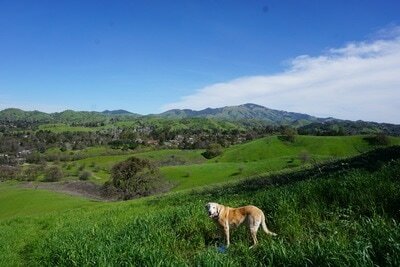 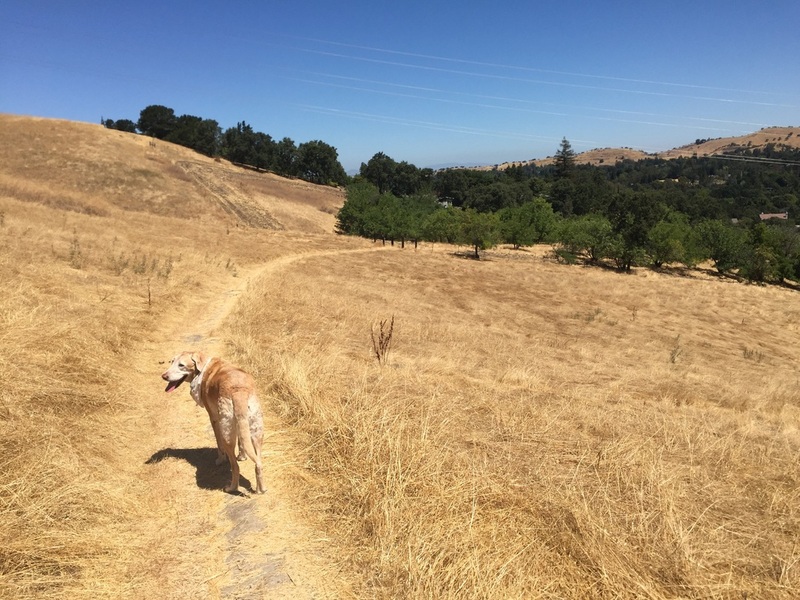 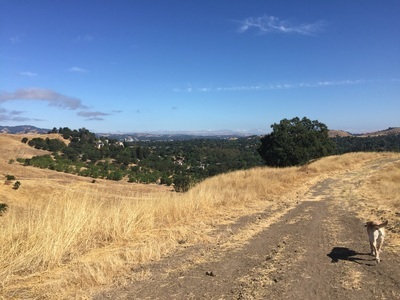 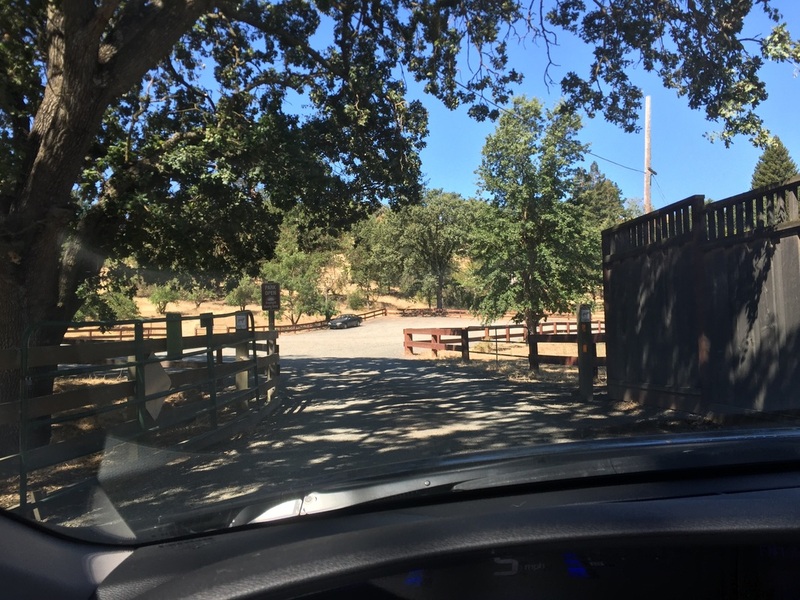 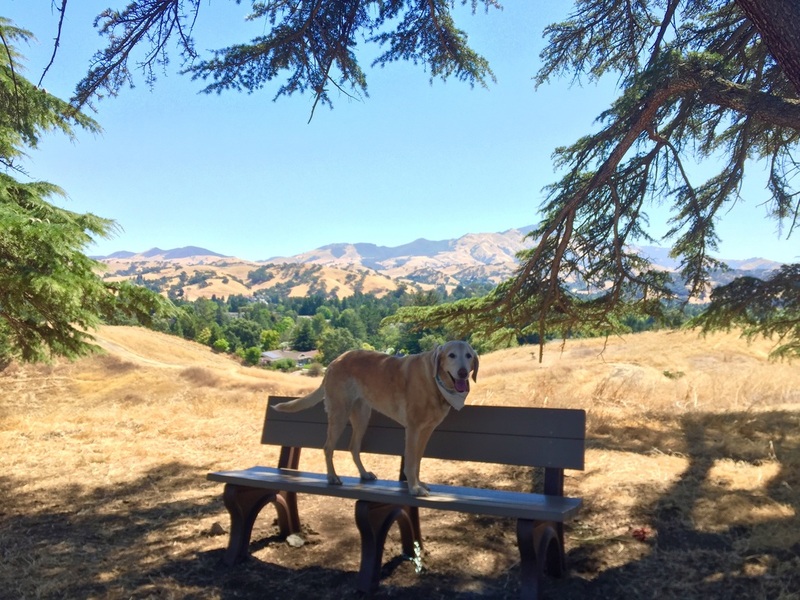 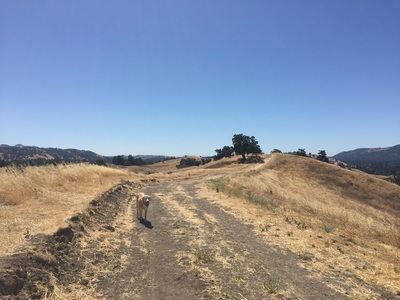 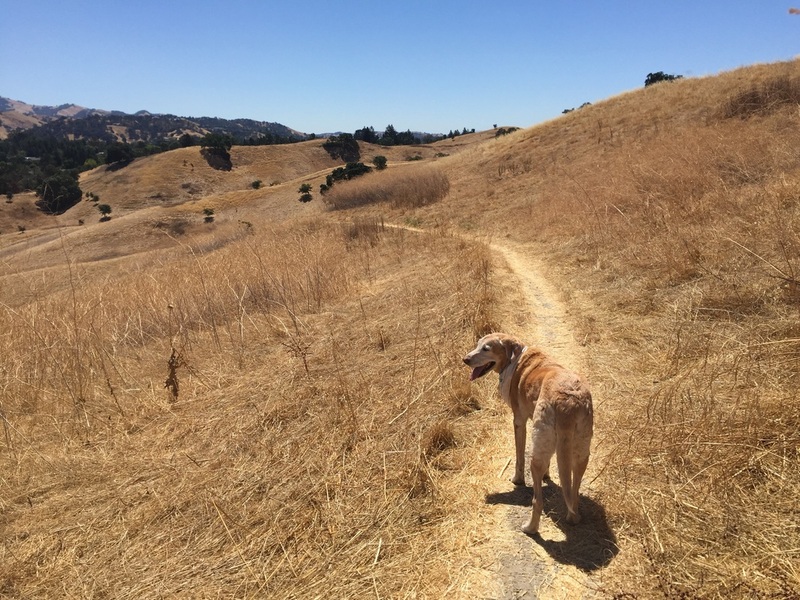 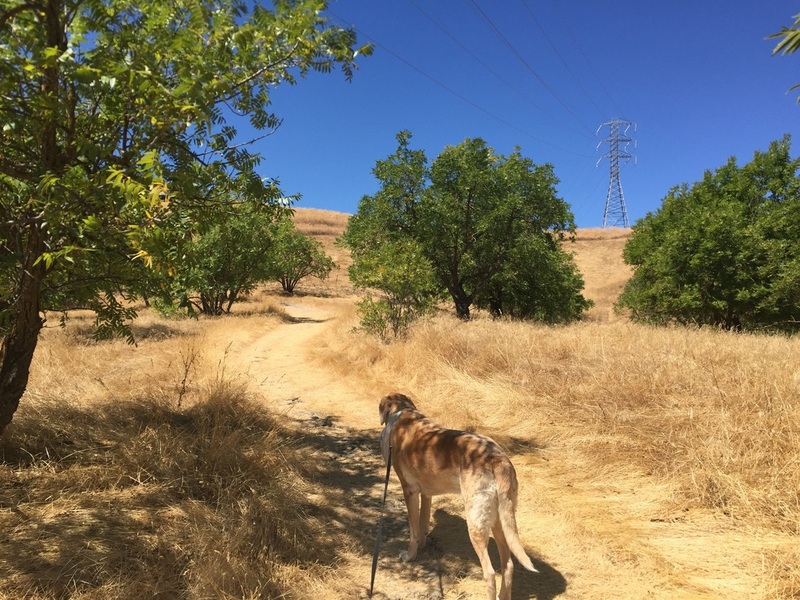 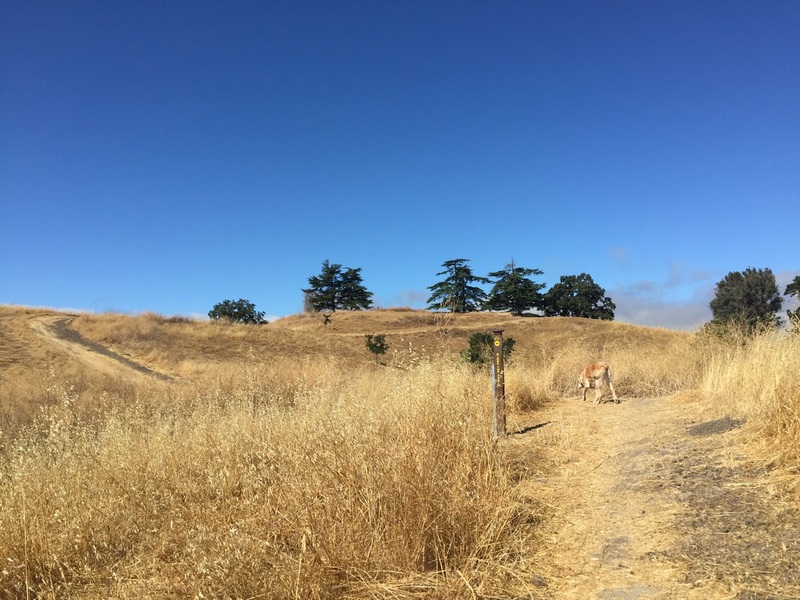 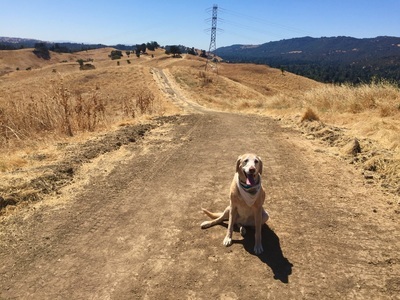 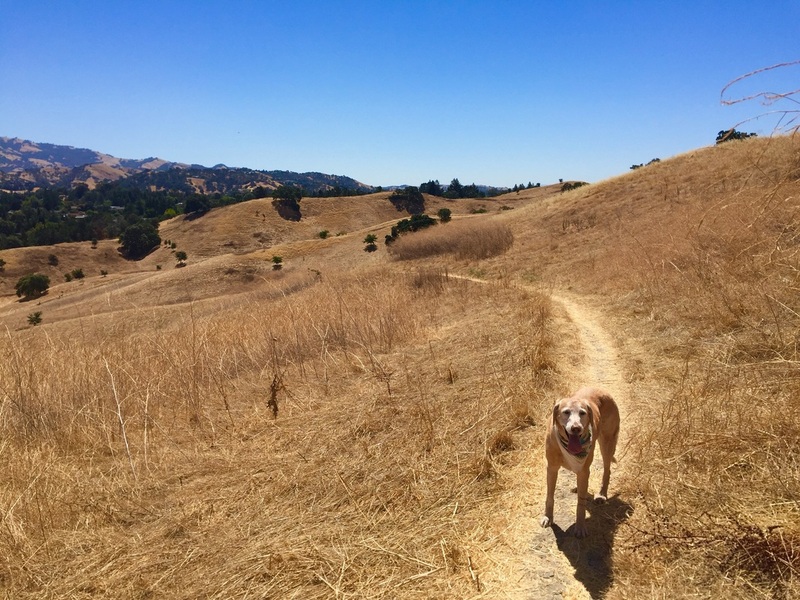 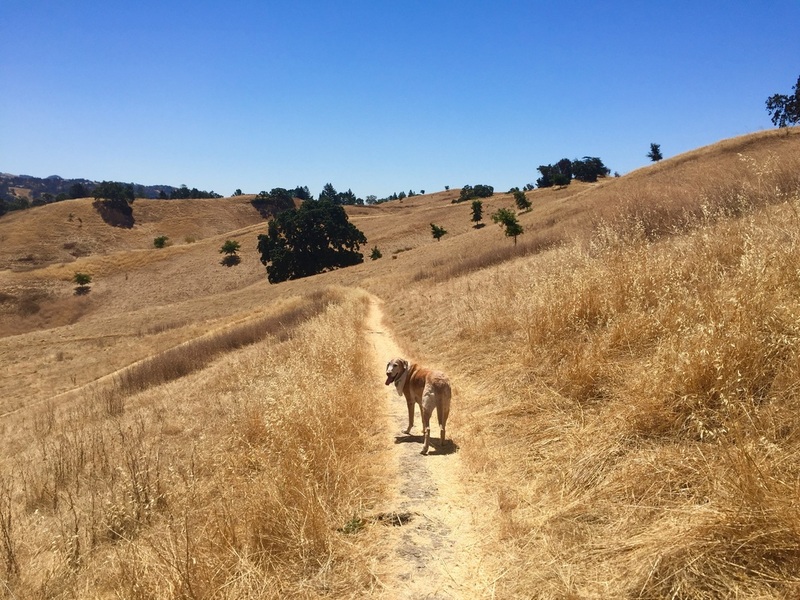 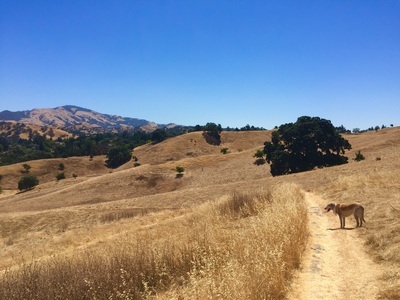 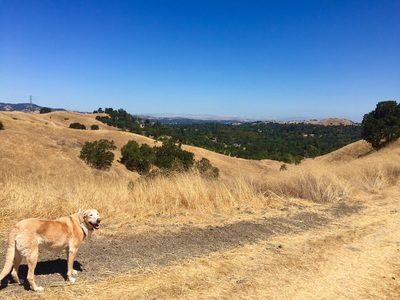 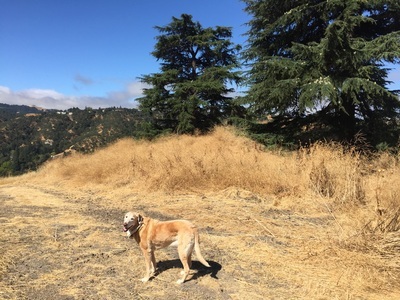 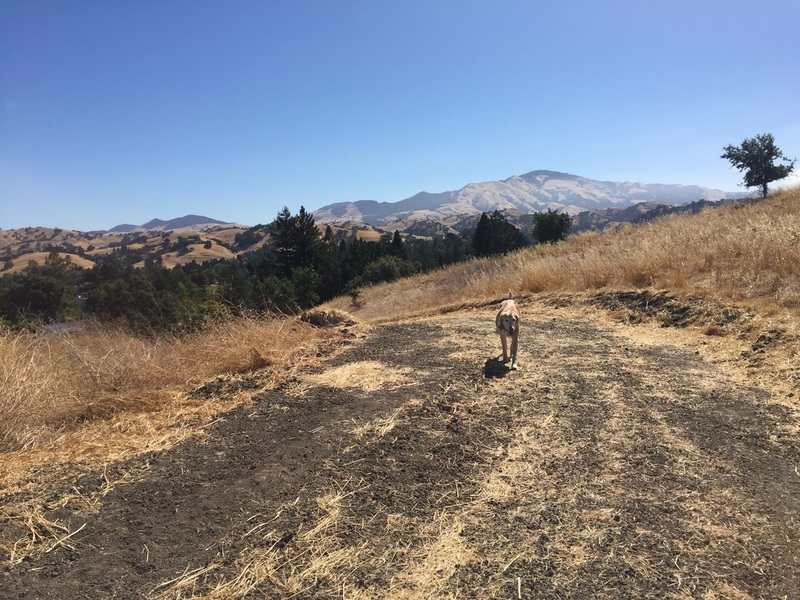 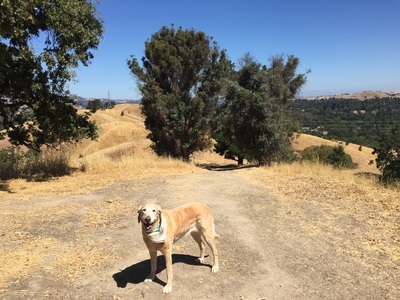 Description: ​​This 177-acre open space has over 3 miles of trails. 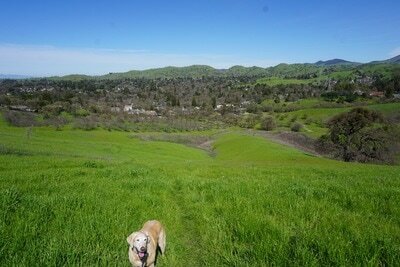 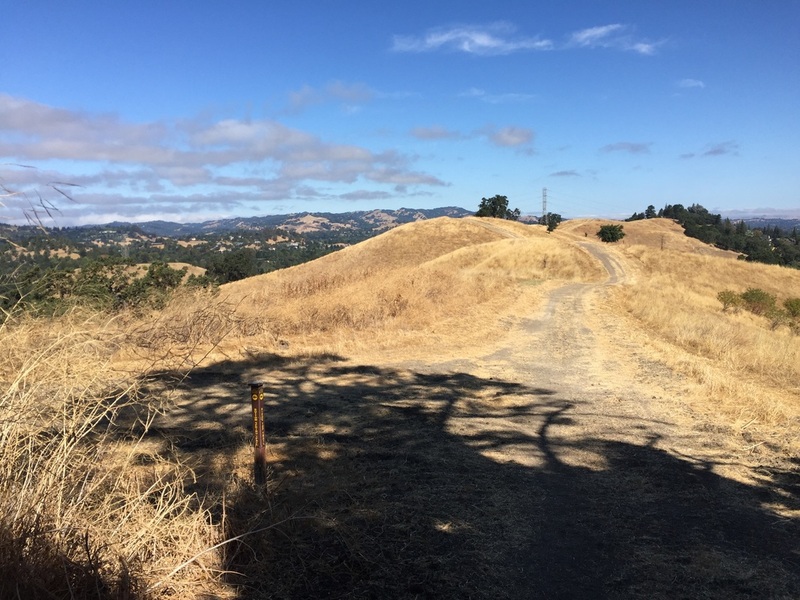 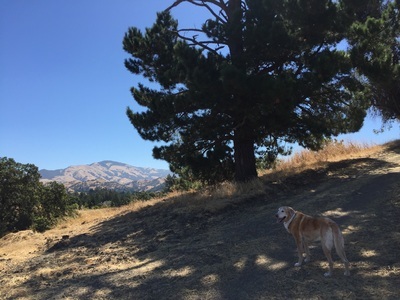 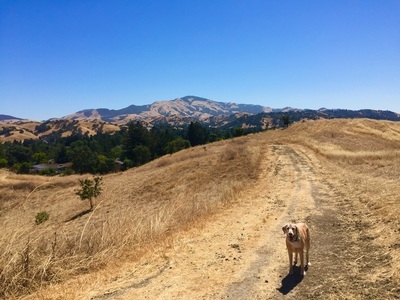 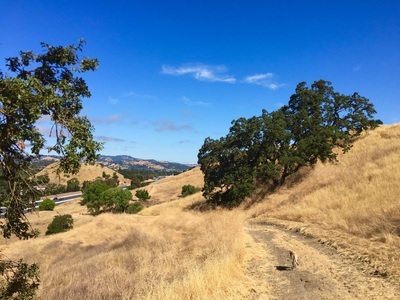 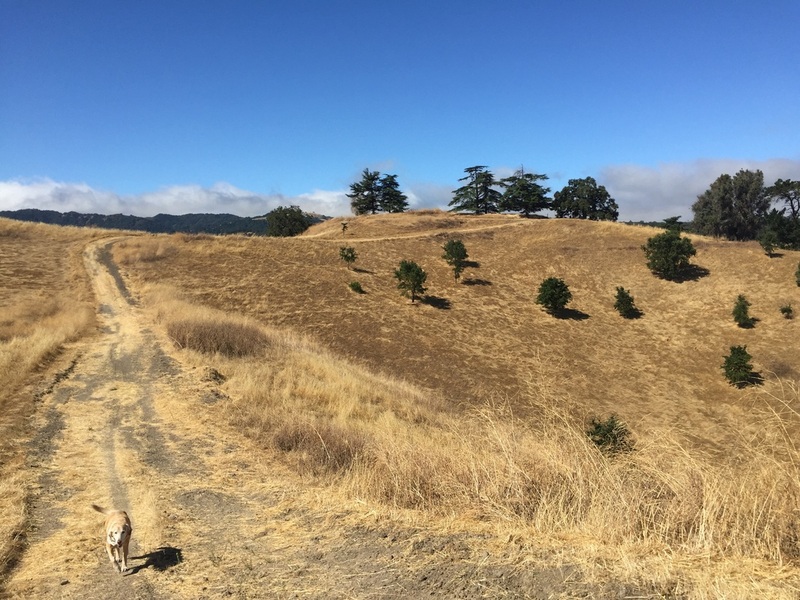 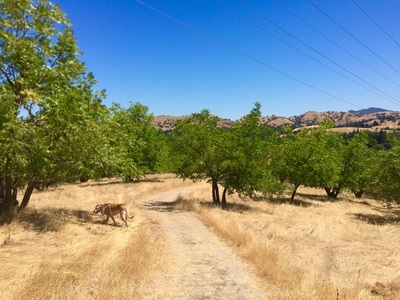 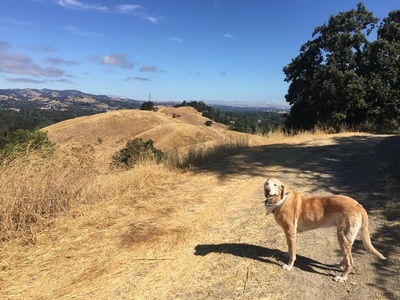 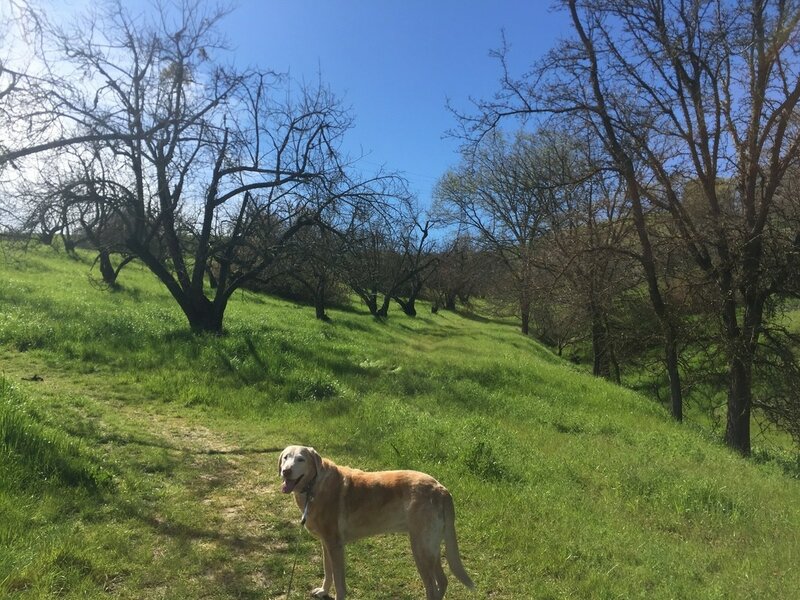 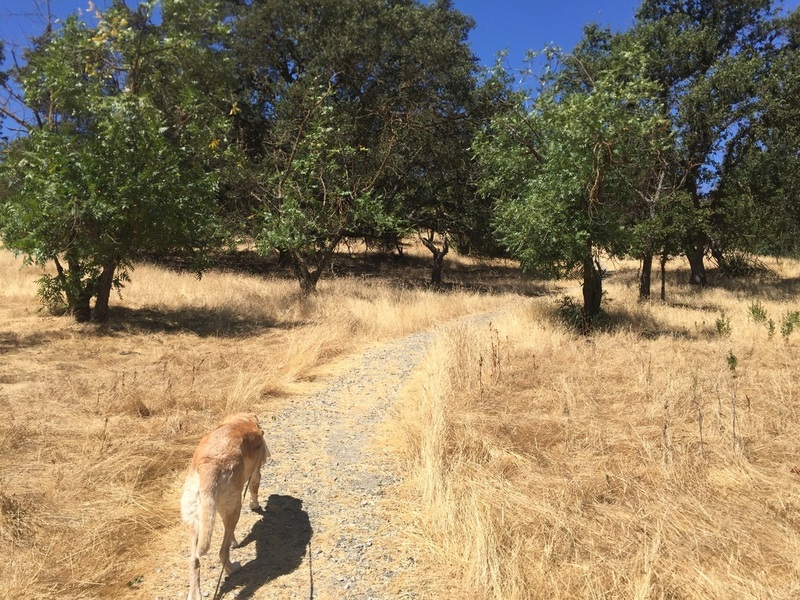 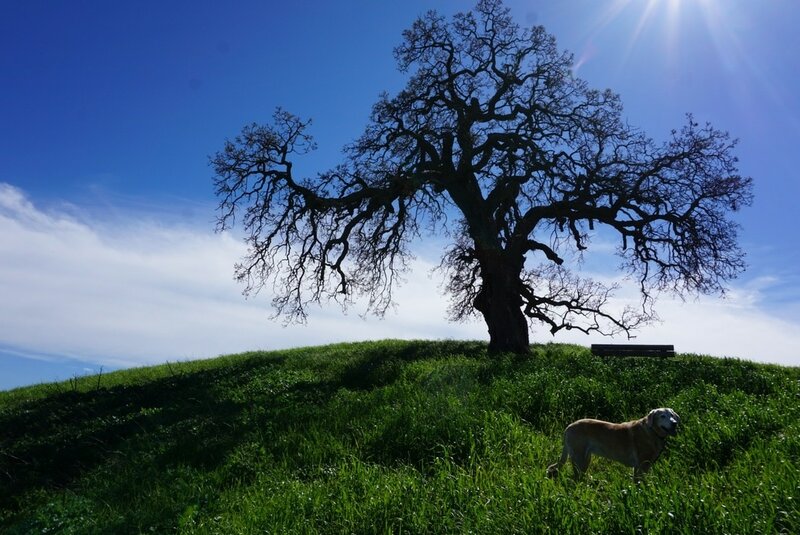 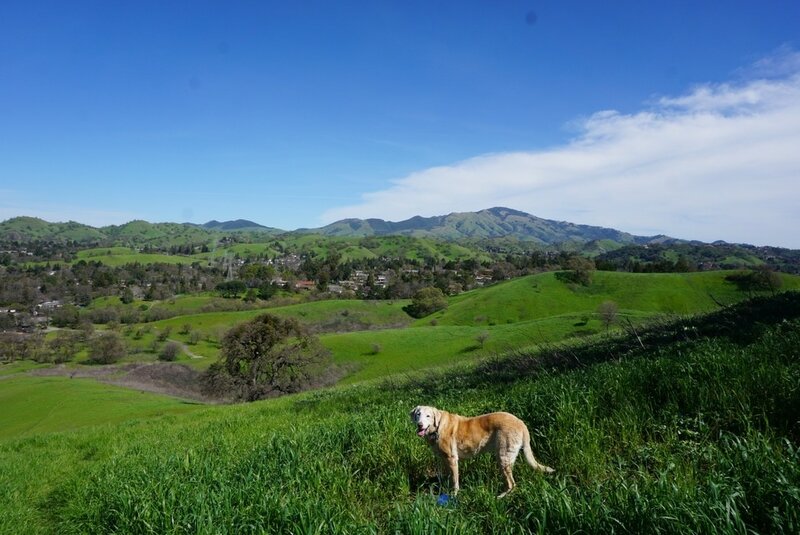 It is home to black walnut orchards and has ridge top trails with views of Mount Diablo, Las Trampas Ridge and Shell Ridge. 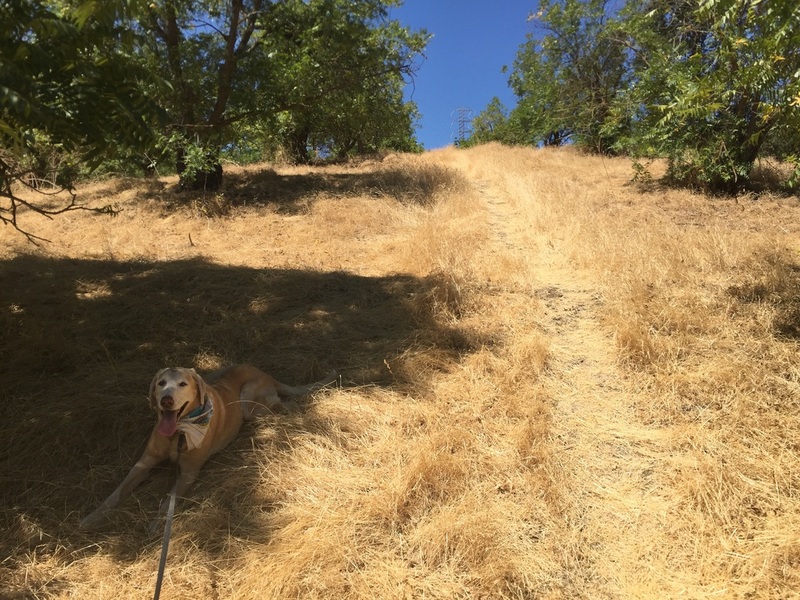 You will have a choice of several trails which snake up and around the hillside and offer great views. 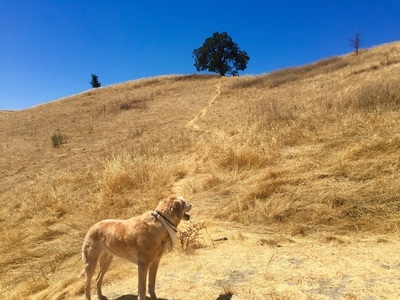 These trails are mostly exposed to sunlight, so I would not recommend hiking them on a hot day. 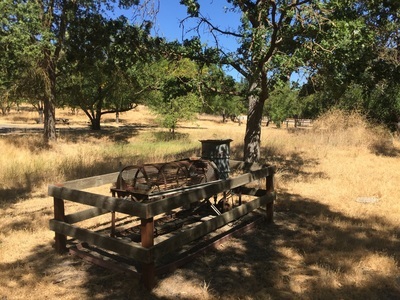 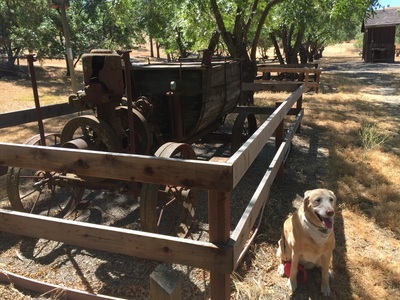 Near the picnic area, they have a display of several cool antique farming equipment pieces, including what I believe is a hit-and-miss engine, that I would recommend checking out as well. During our hike we hiked up Orchard Trail, which has a gradual incline, along the Ridge Top Trail, and then down along the Bottom Springs Trail. There is a great bench under a large, shady tree along Ridge Top Trail, between Orchard and Center Trail. 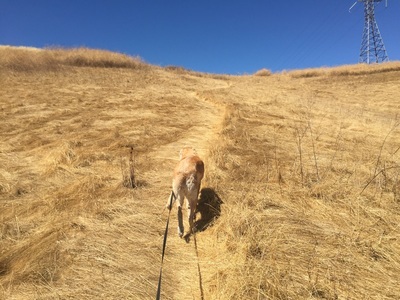 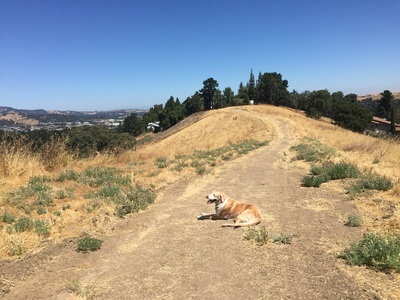 Dogs used to be allowed off-leash if under voice control once you pass the gate on Orchard Trail, as it begins to climb up the hillside. 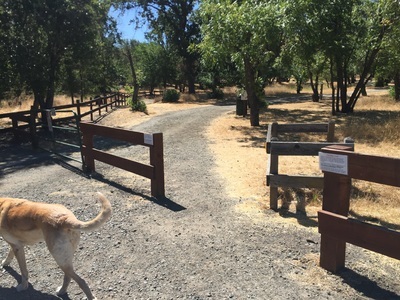 However, since cattle have returned, the gate has been removed an there is now an electric fence and dogs are required to stay on leash. I am not sure if cattle will be removed again this year or if it will become an off-leash park again in the future. 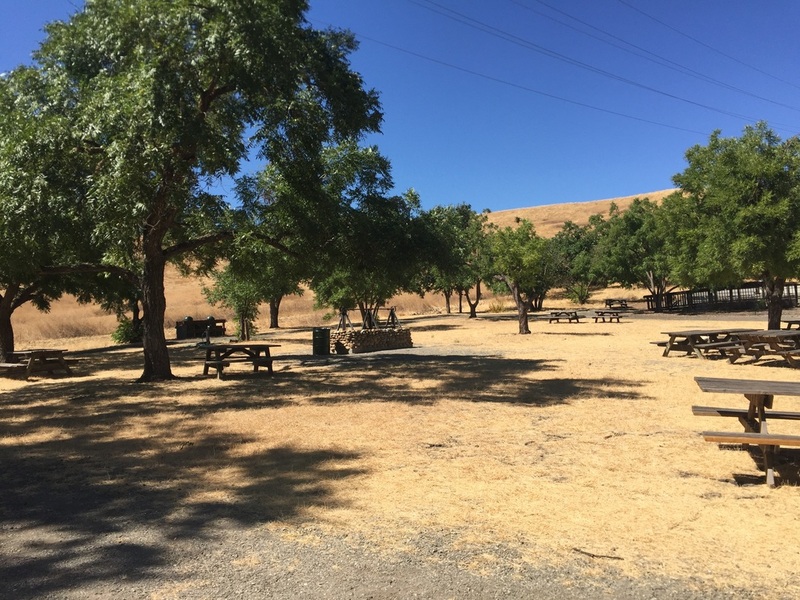 This park has trash cans, several water fountains and a sink, picnic tables, a reservable amphitheater, BBQ pits and group camping areas. 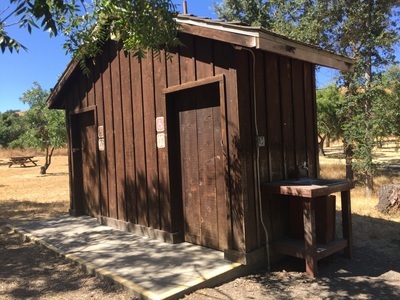 There is a restroom near the picnic area, but it was not open when we visited.